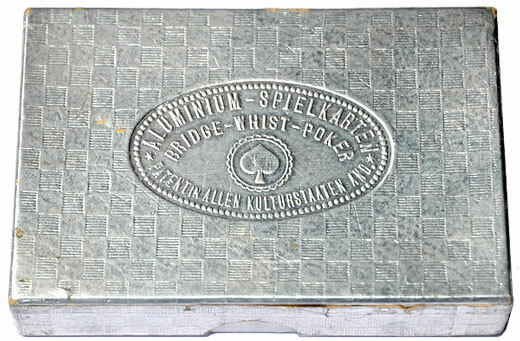 Made in aluminium by Häusermann United Chemical and Metal Engraving Co., Vienna, c.1925. 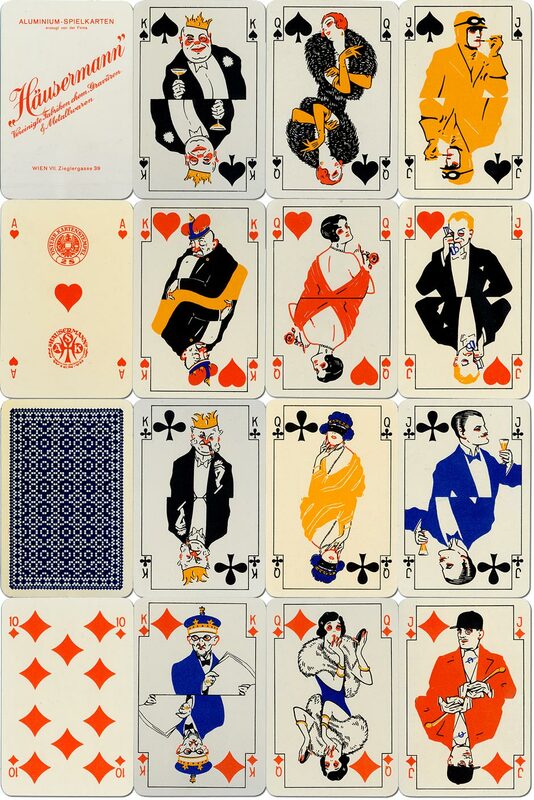 Court cards depicting typical representatives of the 1920s: Ladies looking very sophisticated in evening dress, Jacks as playboys and Kings caricatured as the bored upper class. The cards are rather heavy: the complete deck weighs around 170 gms (a normal pack weighs between 90-100 gms) and also rather slippery; handy to show off the versatility and ease of printing on aluminium, but not so useful as a practical deck to play with. 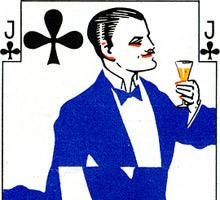 Above: aluminium playing cards manufactured by Häusermann United Chemical and Metal Engraving Co., Vienna, c.1925. The colouring on a few cards varies. Weight in box: 210gm, 52 + Joker + extra card. Images on this page are from the collection of Barney Townshend.